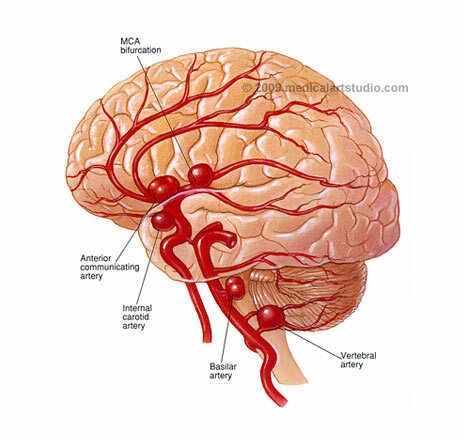 According to the Brain Aneurysm Foundation one in fifty people in the U.S. have an unruptured brain aneurysm. The annual rate of rupture is 8 to 10 out of each 100,000, 40% of which are fatal. Four out of seven patients who recover will have disabilities.Brain aneurysms are most prevalent in people ages 35 – 60, but can occur in children as well. The median age when aneurysmal hemorrhagic stroke occurs is 50 years old and there are typically no warning signs. Most aneurysms develop after the age of 40. Women, more than men, suffer from brain aneurysms at a ratio of 3:2. Accurate early diagnosis is critical, as the initial hemorrhage may be fatal, or may result in devastating neurologic outcomes.Despite widespread neuroimaging availability, misdiagnosis or delays in diagnosis occurs in up to 25% of patients with subarachnoid hemorrhage (SAH) when initially presenting for medical treatment. Failure to do a scan results in 73% of these misdiagnoses. This makes SAH a low-frequency, high-risk disease.There are almost 500,000 deaths worldwide each year caused by brain aneurysms and half the victims are younger than 50.